If you searching about GUI Package manager for Pacman Archlinux like synaptic, yum software manager, etc. You can try gtkpacman. GTK Pacman is GTK package manager for archlinux based on pacman. You can install a pkg.tar.xz directly. 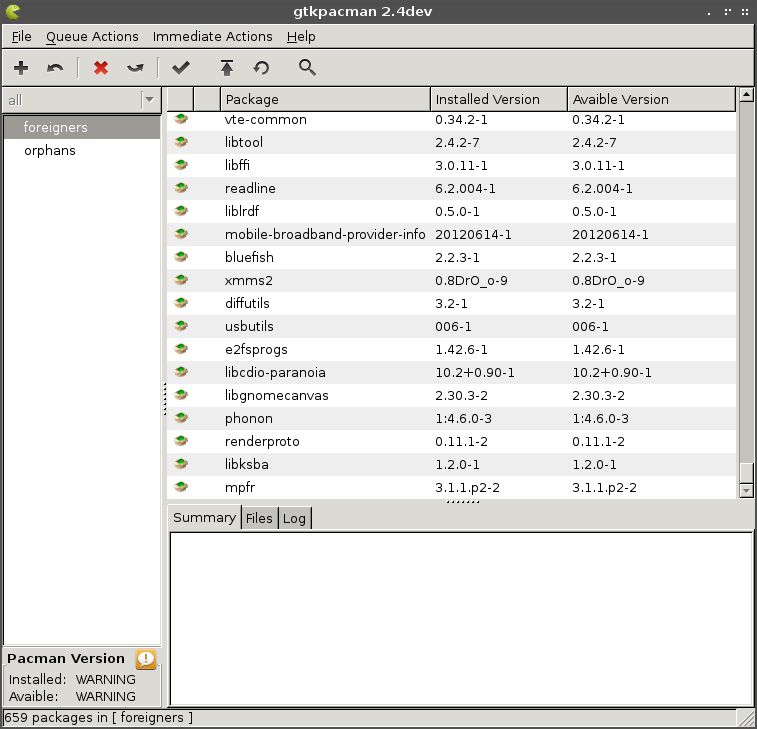 GTKpacman is good software for managing archlinux application that installed on system. But for install a new software, after try everything on it, i still didn't found any way to get software from database. Maybe you can tell me if i miss something. :D.